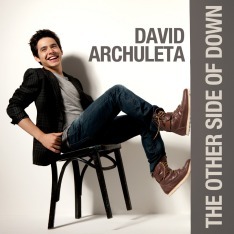 Fan powerThis week David Archuleta became a best-selling author. On a cross-country book-signing tour, he demonstrated his vocal cords of strength by singing a cappella. And his fans rewarded him with their own ‘power of perseverance’: standing in long lines, mustering up the courage to speak to The Voice, and making his book, Chords of Strength, A Memoir of Soul, Song, and the Power of Perseverance, fly off the bookshelves. Photo of this week is…! This week I had a difficult choice for Photo of the Week. It’s hard to beat a photo of David Archuleta with the President of the United States! However, I chose another picture which depicts David’s star-status. This cluster of fan power speaks—screams!—volumes about David’s star power. Gosh, the excitement of these young girls is contagious! One of David’s seldom-mentioned ‘achievements’ is his uncanny ability to be unaffected by all this adoration. Many teens would probably ‘strut their stuff,’ but David takes it all in stride. Instead of thinking of himself, he turns it around and gives back to his fans. It’s a rare quality and will sustain him throughout his illustrious career. Thanks minja. I just love this picture of David and it was the best picture of HIM to put up for this week. The one with the president really didn’t show David like I wanted to show him after such a good week with his book signing.